Do you remember what you were doing when you were in the first grade? You were probably playing childish games, and most likely not taking much of anything too seriously. However, this is not the case for the first graders in Patti Evans Classroom. Evans has her students writing letters to state senators and congressman with the hopes that congress will respond by passing a bill naming an official state spider. In an effort to push their political agenda, some of the first graders are considering making direct phone calls to the state government. The students hit a recent break once they heard that a bill, which will name an official state spider, passed through the state house. The first graders themselves researched and contributed to the official bill. A parent of one of the students approached a state representative with the hopes that she would sponsor the bill, and she did. This class project started when the students were instructed to learn about, and memorize the various state symbols. During this exercise, a few students became interested in how a state symbol is legally established. The children eventually learned that the state in which they lived did not have an official spider, which many states do have. The students in the classroom began investigating which types of spiders are common in their home state. 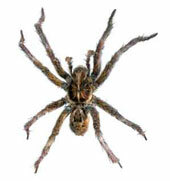 The trap-door spider, the wolf spider and the jumping spider were among a few of the spiders studied. The students then created promotional posters suggesting which spider should represent the state. The students absorbed the spider propaganda and then proceeded to vote on which spider should become the official state spider. After much in class debate, the golden-silk spider was voted the most popular. These spiders were reported to be most popular among voters because they eat pesky mosquitoes, and their bites are not poisonous. Do you know what spider is officially representing your state?